Ben Boettger/Peninsula Clarion Capsules of flavored liquid stand ready for sampling on Friday, April 24 at the vape bar of High Voltage Vapes in Kenai. High Voltage Vapes does not sell tobacco or other smokable herb products, but only vape liquids and vaporization equipment. 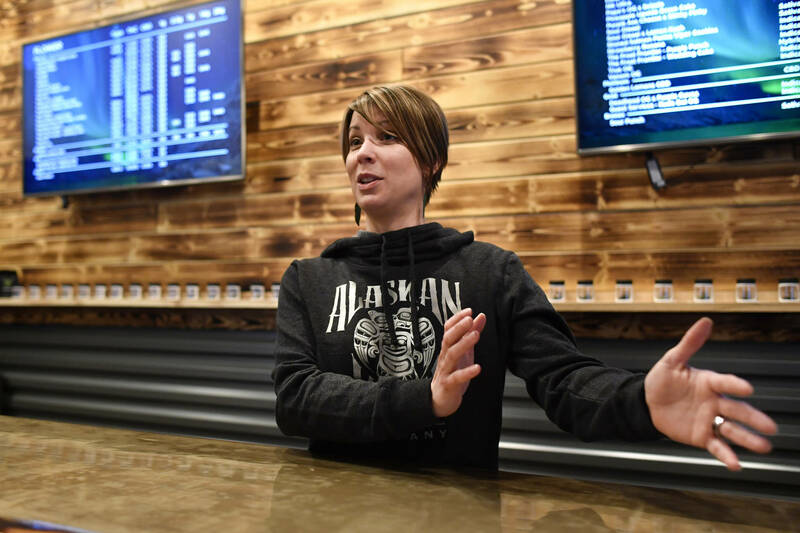 Chilton said that High Voltage’s vape bar, at which customers can sample the vapors of flavored liquids before choosing one to buy, is a major part of the business. However, one clause in the bill’s definition of a tobacco or e-cigarette store would prohibit customers from sampling High Voltage’s vapor bar within the store. The definition requires a tobacco or e-cigarette store to be “a freestanding building not attached to another business or residence.” High Voltage Vapes is in a strip mall space that shares walls with the businesses on either side of it. “If it limits us to where we can’t do it (the vape bar) anymore, we’re going to have to move to a freestanding building,” Chilton said. Chilton said that she and her husband, who took ownership of the vape store a little more than a month ago, would prefer not to relocate. Customers at High Voltage Vapes said the vape bar was an important to the store, both for the social atmosphere it created and for the practical purpose of allowing them to try several flavors before buying one. High Voltage customer Chris Sandstrom said that sampling before purchase is “a critical part” of buying vaporizer liquids. Chilton estimated that she stocked approximately 200 different flavors of vaporizer liquid. Samples at the vape bar are free, although a 30 milliliter bottle of liquid costs between $20 and $30. Under the proposed public smoking prohibition, users would have to step outside with any fluids they wanted to sample. Sandstrom said this would be a great inconvenience. Chilton said that the problem created by the bill’s definition is shared by a majority of vape businesses. Chilton said she has no plans to use this alternative. Chilton said she has written letters to Juneau about the problem the bill could cause her business, and has encouraged the store’s patrons to do the same. High Voltage Vapes is also a member of a nation-wide advocacy group, the Consumer Advocates for Smoke-free Alternatives Association, for vape-users and businesses. 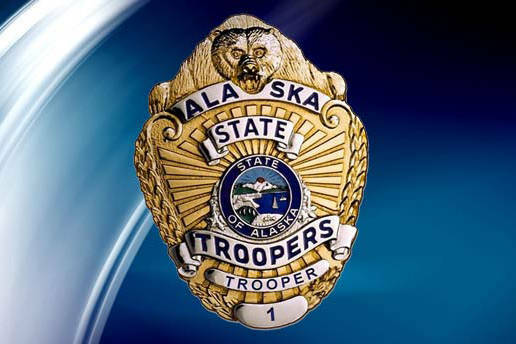 In addition, Chilton said that she and her husband have given a tour of their shop to Kenai Mayor Pat Porter and attended the April 15 meeting of the Kenai City Council, at which a resolution to support Senate Bill 1 was listed as a pending item on the agenda, but was not debated. 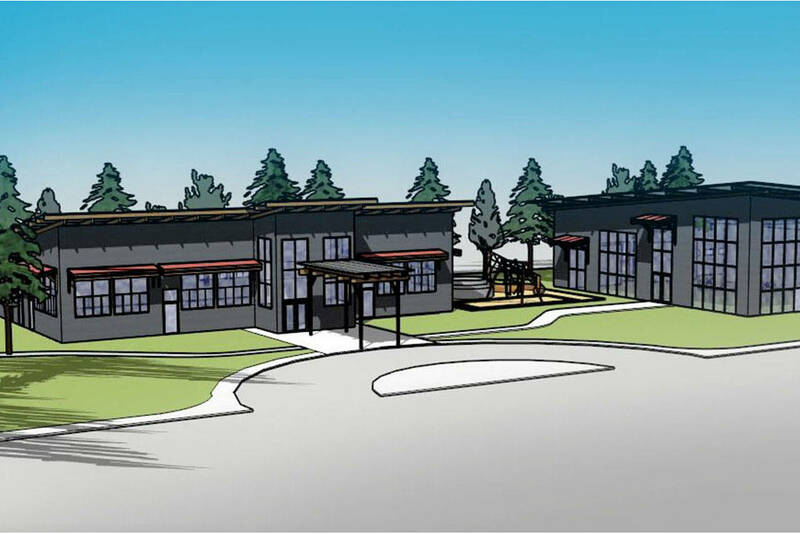 The resolution of support had been debated previously at a Kenai council meeting on March 4, during which the council did not reach a conclusion on the issue and voted to postpone discussion on the resolution until their meeting on November 18. Aside from the clause that leaves her business out of the non-smoking exception, Chilton said she supported the bill’s other points and was in favor of requiring both smokers and vapers to use discretion.